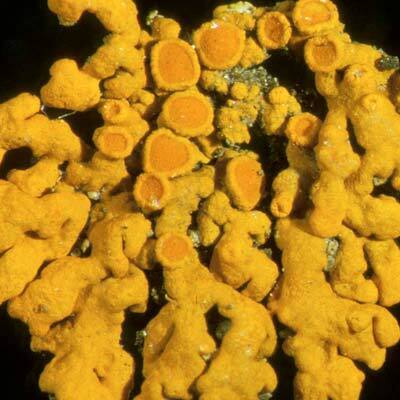 This is a tightly attached, deep red to orange, crustose/foliose lichen of basic, well-illuminated, nutrient-enriched rock, especially in upland areas. It has an almost rosette-type growth form (stellate) with numerous, narrow, convex, contorted, radiating lobes forming the margins. 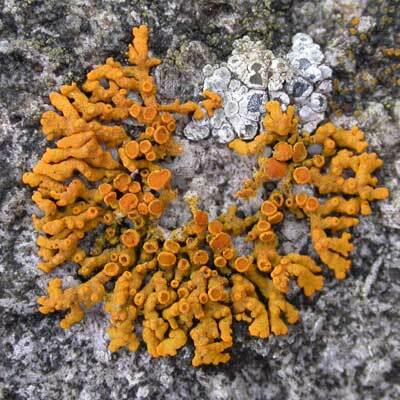 The central part is packed with orange discs. At lower altitudes, it may be found on artificial substrates such as concrete, asbestos roofs and tiles. It is scattered in suitable habitats throughout Ireland. It is usually rich in discs and easily spotted on account of its colour and attractive rosette-like shape. It is unlikely to be confused with any other species. Simms, M. J., (2016). 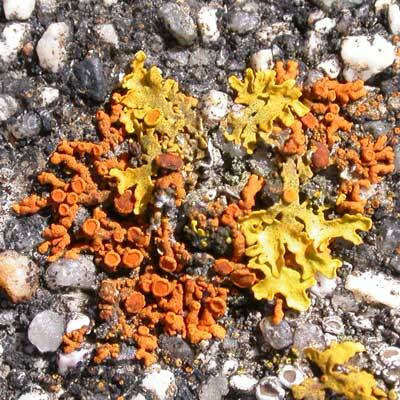 Xanthoria elegans (Link) Th.Fr.. [In] LichenIreland.